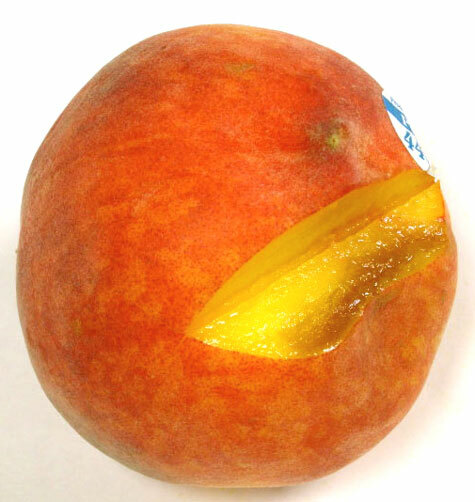 When inspecting peaches, or any stone fruit, there are a few defects you should always be on the look out for. Decayed spots, soft areas from being overripe, and bruising. 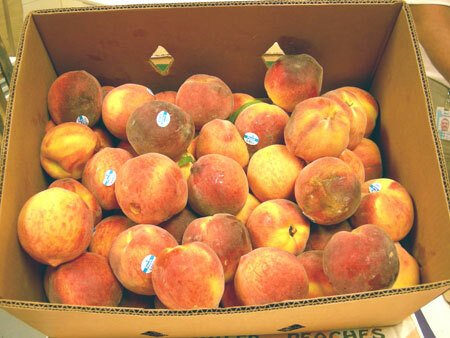 Bruising is the most common defect found on peaches, and peaches packed in volume-filled containers have a better chance of becoming bruised than tray pack peaches. Identifying a bruise is fairly simple. Look for a soft, depressed area, which may or may not be discolored. On riper fruit the bruised area is usually discolored. On hard to firm fruit the area may be depressed, or soft, but may not be discolored. But if you take you knife and cut slightly under the skin the bruised area will most likely show discolored or watery flesh. Measure the area of the bruise, and if the area is larger than 1/2 inch in diameter, or extends deeper than 3/16 of an inch, is scored as damage. Bruising is a condition defect, so if you need to request a USDA inspection due to bruising, requesting a “Condition Only” inspection will be all that you need, saving you some extra inspection fees in the process. One of the topics I always mention during my training classes is being able to identify the bruised area from decay. It is much easier to demonstrate than it is to explain; but if you take your finger and wipe it across the discolored area just once, and the skin sloughs off, the spot is decay, and not a bruise. Bruised/decayed areas on the blossom end are frequently encountered, and are easily confused, but if you follow this simple procedure you should be able to distinguish between the two.